Do you live in the Clifton Park, NY area and need a furnace contractor that is both dependable and reliable? Then look no further than Family Danz. With more than 30 years of experience and expertise in furnace maintenance, repair and installation, you can feel confident that we can help meet all your furnace needs. And, if you’re tired of outrageous utility bills, you’ll be happy to know Family Danz offers the best in high-efficiency furnaces, which can help you save energy and money. The skilled technicians at Family Danz provide expert furnace maintenance, repair and installation, and are trained to ensure that your furnace is providing you with the highest level of comfort and safety. We work to ensure that all of our Clifton Park, NY customers are fully satisfied with our furnaces products and services. 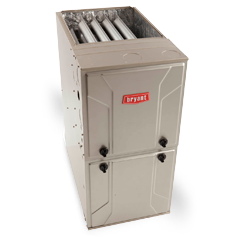 You can count on Family Danz to be the best furnace contractor in Clifton Park, NY. Count on the experts at Family Danz. Simply call us at (518) 427-8685and we will be more than happy to assist you.